The Holy Scriptures are the revealed word of God, which inspired the human authors of Scripture, and which is interpreted by the Church under the guidance of the Holy Spirit. The Nicene Creed is the basic statement of our belief about God. It was adopted in the 300s by the early church and is said every Sunday. The two great sacraments of the Gospel, given by Christ to the Church, are Baptism and Communion. In the waters of baptism, we are lovingly adopted by God into God’s family, which we call the Church, and reminded that nothing can separate us from God’s love in Christ. Communion goes by several names: Holy Communion, the Eucharist (which literally means "thanksgiving"), the Lord’s Supper, the Mass. But whatever its name, this is the family meal for Christians and a foretaste of the heavenly banquet. As such, all persons who have been baptized, and are therefore part of the extended family that is the Church, are welcome to receive the bread and wine, and be in communion with God and each other. The Catechism: The teachings and beliefs of the Episcopal Church are articulated in this “Outline of the Faith.” It is designed in a question and answer format. We strive to live by the example of Jesus Christ, welcoming the stranger and the outcast, helping our neighbors and offering love and forgiveness. We want our communities to be better because The Episcopal Church is here. We walk the “middle way” between Protestant and catholic traditions. We often talk about the Episcopal Church as following the “via media” (middle way) in our theology and discussions because we believe that, whether or not we agree on a particular topic, we all are children beloved by God and we can have thoughtful and respectful discussions. The Episcopal Church celebrates diversity. We are young and old, male and female, gay and straight, single, married, divorced and widowed, Anglo, African American, Latino, African, Asian, CEO and unemployed, student and teacher, rich and poor. We worship together, study, and ask questions as we move more deeply into the mystery of God. 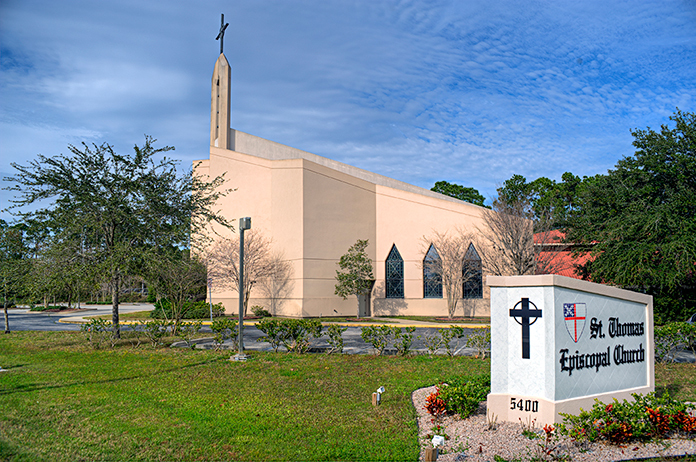 There are no prerequisites in the Episcopal Church… Everyone is welcome!